LG Optimus 2X Android phone available outright and unlocked for $649. LG has announced the Australian launch of its first dual-core powered Android smartphone — the Optimus 2X — but the phone will be sold outright, and not through a telco. Read our comprehensive LG Optimus 2X review and check out our guide to the best upcoming smartphones in 2011. The LG Optimus 2X will initially launch through retailer Harvey Norman for $649 outright, and will then be available via open distribution as an unlocked handset "in the near future." LG had initially revealed early this year that the Optimus 2X would launch in March or April, and that it would be priced exclusively through one or two carriers in the $79 to $99 cap price range. Powered by a 1GHz Tegra 2 processor, LG claims the Optimus 2X provides enhanced multimedia, gaming and Web browsing, along with the ability to multitask with "virtually no screen lag". LG says this will also result in better battery life. "The LG Optimus 2X's enhanced speed, advanced graphics and high-end features such as content mirroring through an HDMI interface are the kind of high-end features that appeal to Australian consumers looking for the very best in smartphone technology," said Nathan Dunn, general manager of LG mobile communications. In addition to its dual-core processor, the LG Optimus 2X has a 4in capacitive touchscreen display, an 8-megapixel camera with 1080p full HD video recording, HDMI-out, DLNA and 8GB of internal memory. The LG Optimus 2X will initially be released with Google's Android 2.2 (Froyo) operating system, but LG has promised an "upgrade path" to the latest version of Android 2.3 (Gingerbread) which will be "advised at later date." The Gingerbread version of the Android platform offers numerous improvements over its predecessors, including a refreshed user interface, an improved keyboard layout, better text selection and gyroscopic support for 3D gaming. The LG Optimus 2X was the world's first smartphone with a dual-core processor at the time of its announcement. Since then, most other mobile phone manufacturers, including Samsung, HTC and Motorola, have announced or released dual-core powered Android phones, placing the Optimus 2X in a crowded field. Of other dual-core powered Android smartphones, the Samsung Galaxy S II is set to launch in May across all carriers, while Telstra is widely expected to release the Motorola Atrix in the coming weeks. 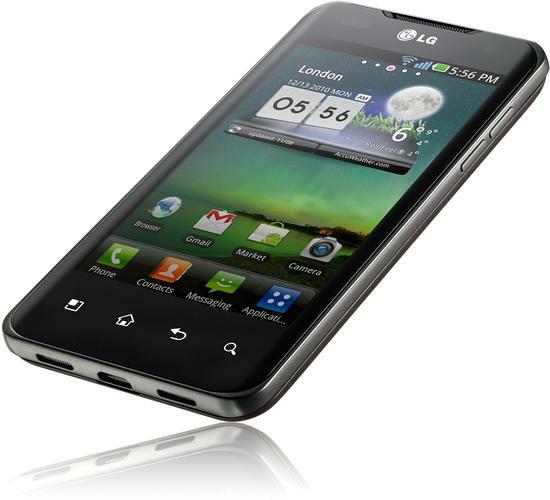 LG's other dual-core smartphone, the LG Optimus 3D is also set for an Australian release in the near future, most likely through one or more carriers.